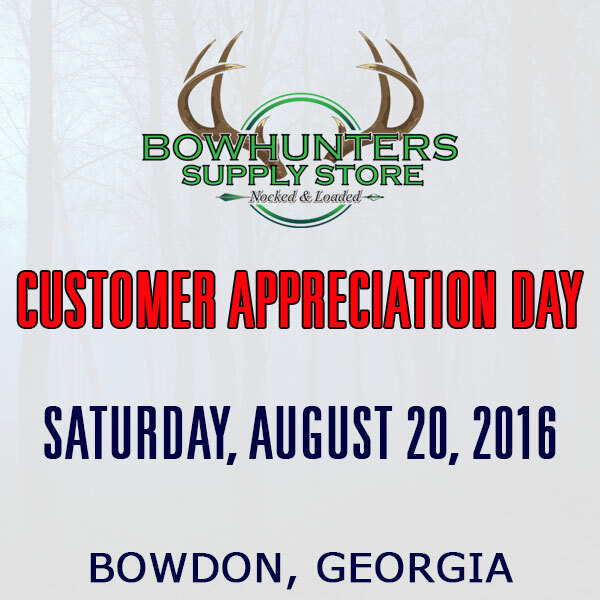 We will be having a customer appreciation day here at Bowhunters Supply Store coming up on Saturday, August 20, 2016. This will be an all day event with a lot of activities, prizes, sales and fun for the entire family. Tell your friends and help us spread the word! ← First Lite Gear Has Arrived!